Here’s another super hot Amazon.com deal. 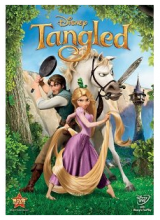 You can get Tangled today for only $15.49 shipped with Amazon Prime. My daughter loves this movie, a little too much really. This is another one I’d buy if we didn’t have it already. Head over to Amazon.com to check out this deal and other great Cyber Monday deals from Amazon. 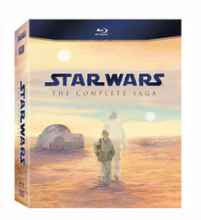 Amazon.com has a few great deals today on select Blu-ray movie. As we have seen, price as changing fast. If these are on your list this year, they are at a great price! Head over to Amazon.com for more great prices on dvd and Blu-rays. HOT! AMC Movies Tickets As Low As $4.75 Each! Let’s face it, no matter where you live, movie tickets are expensive. This eats up a lot of our “entertainment” budget. So when deals come along like this, we grab it. Buy With Me has a GREAT deal on AMC Movie Tickets! Here’s how you can get 4 AMC Silver Experience Tickets for as low as $4.75 each! Sign up for Buy with Me and get $5 credit. Then purchase 4 AMC Silver Experience tickets for $24 (or $19 with $5 credit making them $4.75 each) These retail for $52. Head over to Buy With Me and sign in or sign up. At the top of the page select â€œâ€˜Anywhere, USAâ€. These tickets have no expiration date! Thanks Cha Ching on a Shoe String! 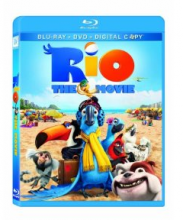 Daily deals May 25, 2011 in entertainment, family, movies · Expired! We’ve been introducing our daughter to all the Disney classics. We were really surprised to find that you can’t rent Dumbo so we ended up buying it for over $28 and payed for shipping! 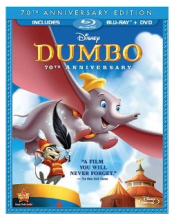 Right now you can pre-order the new Disney Dumbo 70th Anniversary Blu-Ray/DVD combo pack for only $19.99 from Amazon, including shipping! The release date isn’t until September 20th but I can tell you, it will sell out before then. The Amazon price is currently $27.99. If you order through this link, you’ll find the $8 eCoupon that will get you the price of $19.99. Select the FREE shipping option at check out! If the price of the movie drops before the September release date, you will be charged the lower price since you won’t be billed until it ships! Thanks Amanda @ A Few Short Cuts for the heads up on the is deal! Target is having a huge sale on a lot of great DVD’s. Right now you can get Eat Pray Love for only $9. Coupons.com has just released a new coupon for $4 off Eat Pray Love making this DVD only $5! There is also a $4 Mail-In-Rebate for this movie when you buy 2 Classico Pasta Sauces making the final price $1. Final price: $1 after coupon and rebate! If you plan on seeing Little Fockers this holiday season, grab this deal from Living Social! Living Social has Little Focker tickets on sale today for just $5! Sign up here to get started! Limit 1 per person, up to 1 additional as a gift “¢ Movie ticket only valid for showings of Little Fockers. “¢ Offer only redeemable through Fandango.com, and must be redeemed within the next 13 days. 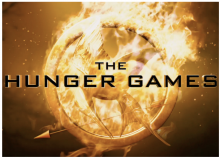 Customer may redeem code for a viewing after 1/3/2011 so long as they redeem before expiration. Offers Dec 21, 2010 in entertainment, free, LivingSocial, movies · Expired!